I got new glasses the other day and it occurred to me that they are the exact same colour as the Purple Stripes Trollbead. Which got me thinking, how do people choose which beads they’re going to wear each day? Do you match them up with your clothes or just wear whatever makes you happy? I will admit to doing a bit of both! 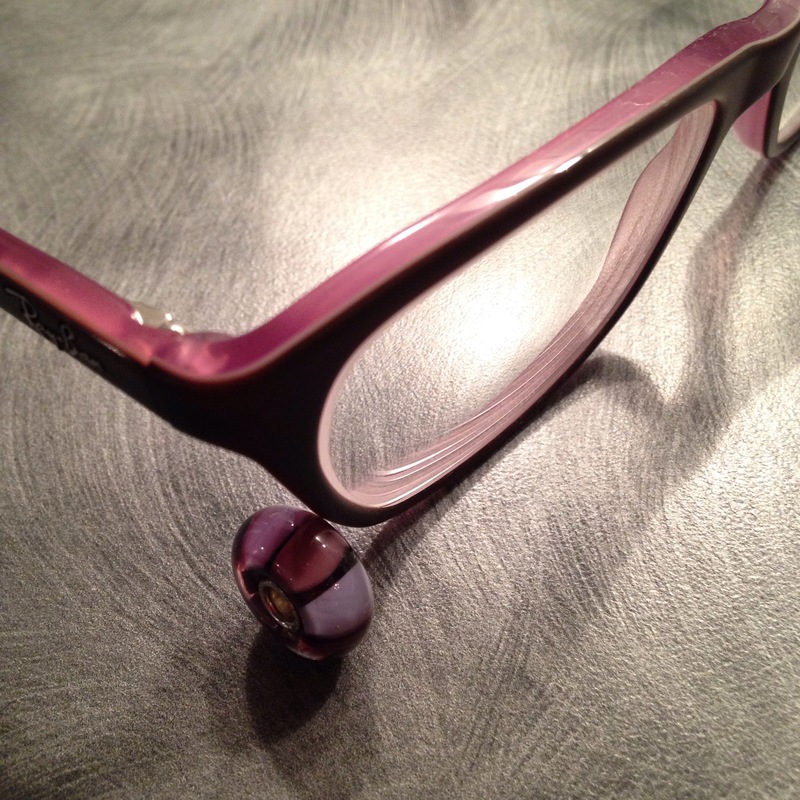 Since I was excited to wear my new glasses, I wanted to make a combo to go with this bead. 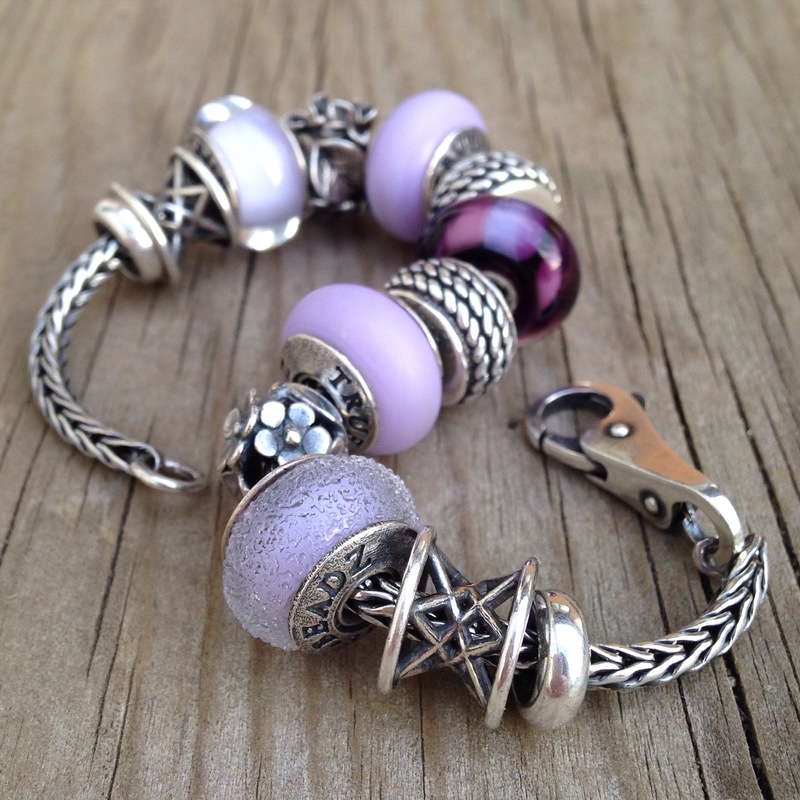 I picked some Ohm Beads to wear with the purple one from the Six Pack Collection. It’s such a juicy purple and while it is a different shade from the Trollbead, I think it goes well enough. Now, here’s the thing that I find so interesting. I have 3 pictures in different light. The two outdoor ones look fairly similar. Above was after school and the below one was taken early in the morning. But just look at the beads, especially the True Beadz, in the flourscent light of the school I was at! They look like completely different beads. 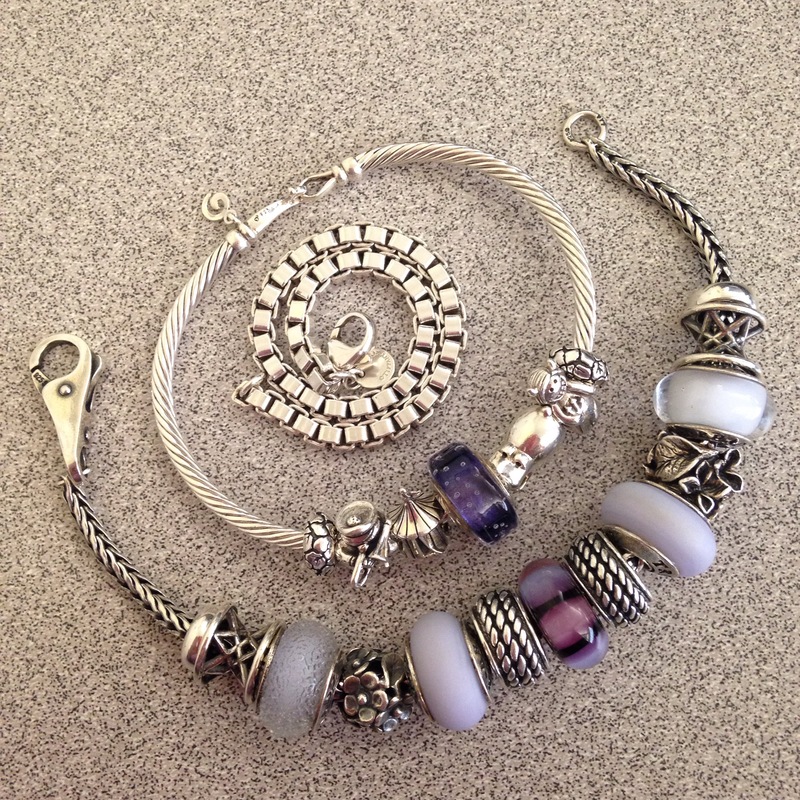 So, as I post this last picture, please do let me know what you match your beads to–I love hearing what others do! I have quite a few bracelets these days, haha, and I keep all my designs together and don’t change them around. When getting ready, I usually go for the bracelet I’m most enjoying at the moment or maybe one that I haven’t worn for a while – so long as it doesn’t clash with my outfit! ^^ I don’t worry too much about making my bracelets and colours too matchy-matchy. I like the way you put that, that you wear what you’re enjoying as long as it doesn’t clash. I should try that a bit more instead of thinking since I’m wearing a blue sweater, I should wear a blue bracelet. Thanks for commenting Ellie! I don’t change my bracelet designs around too much. I still keep some bracelets without glass beads and those are my go to bracelets. Since I’m still fairly new to collecting glass beads, I buy whatever color i like and usually not in pairs. 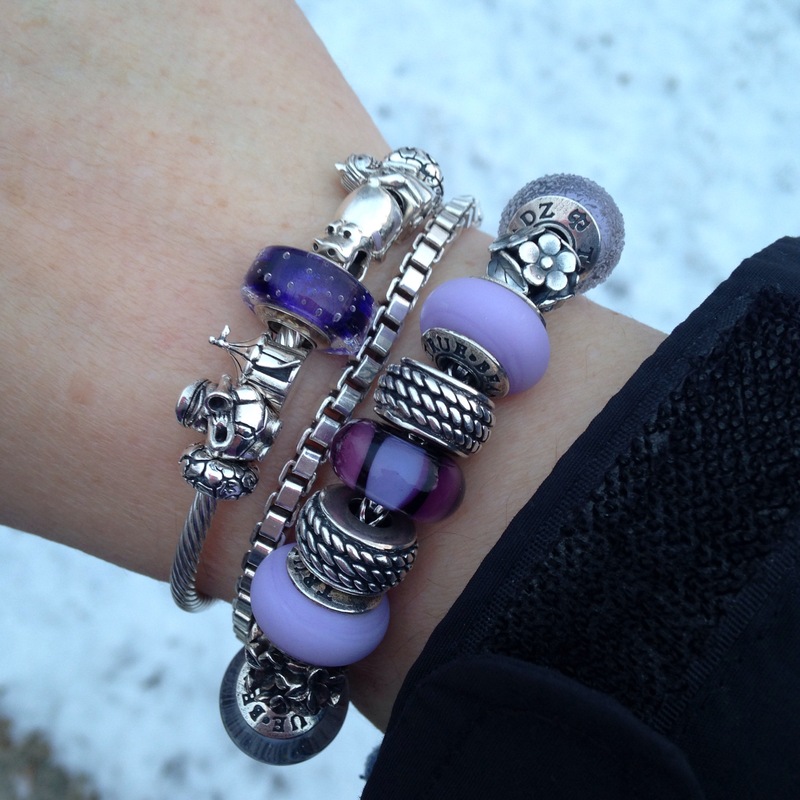 I do have some bracelets that have a variety of different colors in it, so those i can also grab and go. Though, I usually wear my bracelets depending on what color I happen to be wearing. Noemi, I also keep a Pandora bracelet with no glass on it in case I need to head out quickly to a job (I work part time as a substitute teacher). 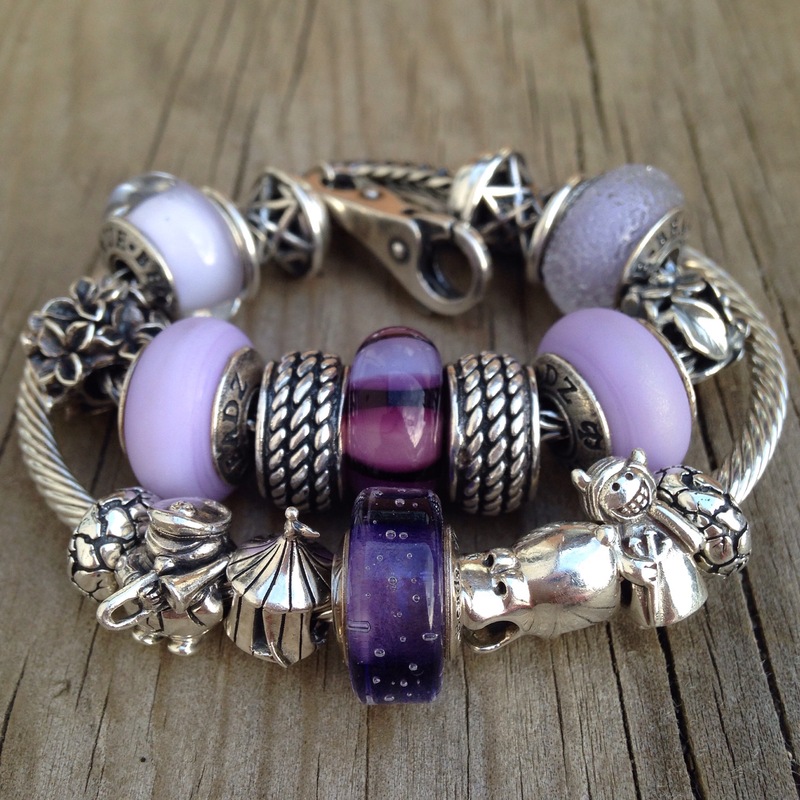 I understand how you feel about buying glass beads when you see what you like–they are always so tempting! I change my bracelets all the time. I do make custom bracelets to match clothes, or if I have a bracelet already made that I want to wear I might choose my outfit to go with the bracelet 😛 I just buy beads I like, since no design is staying together for me I know I can use it for something! It’s nice to hear from someone who changes bracelets a lot! I think most people keep bracelets together. Love how you’ll wear an outfit to match your beads, ha ha!